I'm a very lucky girl to be friends with Annie over at Apres Fete. She throws incredibly beautiful parties in her incredibly beautiful home. up with Sprinkles and she had slaved over a three tiered Dacquoise? I started showing up with something Stila, something sparkly, something soapy. Something for Annie. 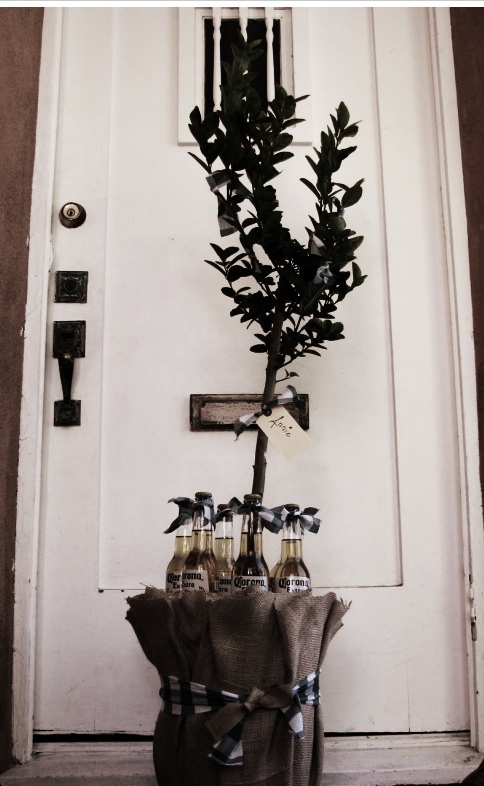 This Sunday I showed up with a lime tree for the backyard! I thought this hostess gift might be seasonally premature but I want the tree to be fruitful by summertime BBQ's, so I went with it. PS. 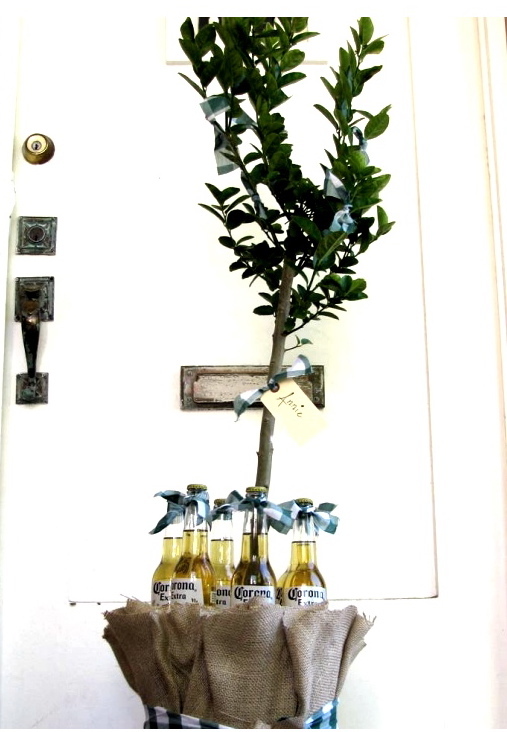 Showing up to a President's Day Dinner Party with a tree garners a LOT of attention. Fun! How did you secure the Corona bottles in the pot? 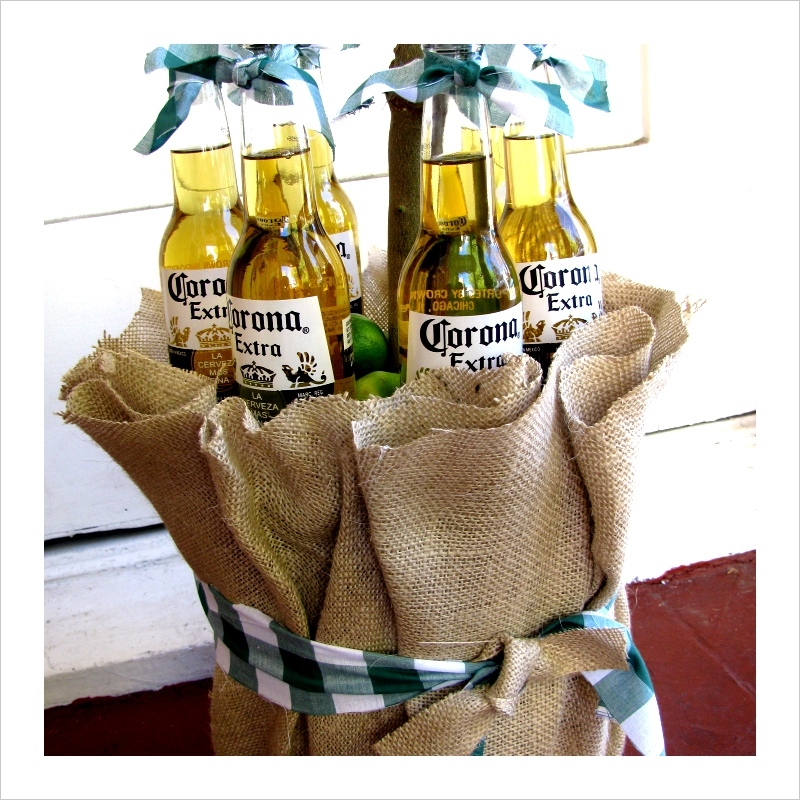 I actually put them back in the Corona cardboard to transport then replaced them when I arrived! I cheat!